Tip: What Are BCAA’s (Branch Chain Amino Acids)? 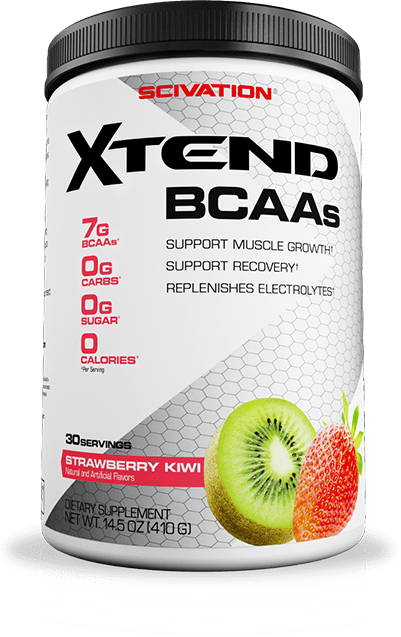 What Are BCAA’s (Branch Chain Amino Acids)? When it comes to building muscle, improving strength and enhancing recovery BCAA’s are one of the most effective yet overlooked supplements on the market today. I started using BCAA’s about 15 years ago when they were only available in tablets as big as your thumb. Today with the availability of high quality tasty flavors that are actually enjoyable to drink and very price effective it makes BCAA’s fall into the “must have” supplement category. BCAA’s are known as “Branch Chain Amioi Acids” are considered the power house aminos for building muscle and improving recovery. These Amino Acids are considered “Essential Amino Acids” as they human body can not make them. There are “Essential Amino Acids”, there are “Essential Fats”, there are however no “Essential Carbohydrates”. The essential branched chain amino acids (BCAA’s) are of special importance for athletes because they are metabolized in the muscle, rather than in the liver. Here’s how this works: After digestion once protein is broken down into individual amino acids these aminos can either be used to build new proteins or be burned as fuel to produce energy. Now that all that’s out of the way lets get into the important stuff. How BCAA’s can help you build muscle, recover faster and lift heavy weights. Read more about the Top 5 Benefits Of BCAA’s For Women. If you enjoyed this blog post and want to know the best supplements you should use download our Top 5 Supplements For Women Report.